Steve Harmon was an average teenager who had an average job as your average clown, living in average New Jersey. But after being zapped by weird and mysterious extradimensional energy, Steve became Slapstick, a living, breathing cartoon! 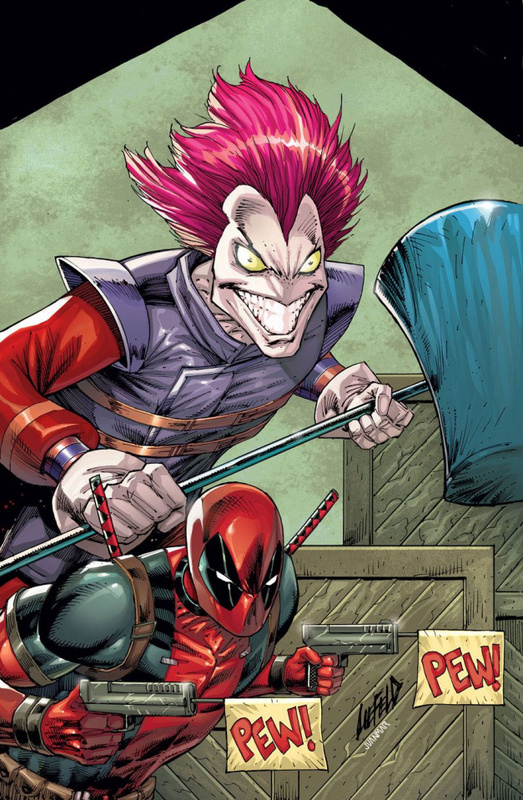 Now, after joining, and then quitting, Deadpool's Mercs for Money, Slapstick is striking it out on his own terms! Sure he's gotta move back in with his parents, but these new business ventures take time. And anyways, he gets to team-up with the Amazing Spider-Man in his first issue. That seems like he's doing pretty well to me!